"Step by step, heart to heart, one by one they all fall down... like toy soldiers." In 1985, I was fourteen years old, and had my first affair with a married man. In the rare moments alone at home, music would fill the room around me and I'd stare at the exotic looking young woman who laid her soul all over my turntable. I wanted to be Whitney, saving my love for one who secretly longed to be with me. In the following years, I came to relate to Whitney Houston as a friend, a mentor of men. A sharer of wisdom that echoed my own romantic discoveries. First there were songs of love, then came the dancing that lured girls like myself out of a shy awkwardness and made us believe we could be the star of any ballroom. But while Whitney was looking out for her young followers, who was looking out for her? Who was watching as she sunk beneath the glitter and the glory into a dank pit of desperation? The first hint was her all-too-real performance in 1992's The Bodyguard, in which she played a musical diva with a drug problem, and what happens when we lose touch with the harsh reality that surrounds us. It was a grittier side of Houston that we hadn't seen until then. I didn't want to like The Bodyguard, because as I'd grown with Whitney, I'd also grown with another homespun gospel of wisdom - Dolly Parton. And Dolly had always loved Porter, and Burt, long before Whitney ever loved Kevin. There was some interview that has stayed with me like a scar where Whitney said the song I Will Always Love You was nothing until she took hold of it. But alas, like the rest of America, I not only fell for the movie and the savage love story of Rachel Marron and Frank Farmer, I fell for the music that surrounded their story too. It was a surging flame of a dying fire, we just didn't see it starting to dim. Waiting To Exhale was, for me, the last ember. What I felt was a brilliant ensemble that showed us more of the real Whitney Houston, it eclipsed the insanity of her offscreen life. Her marriage to Bobby Brown and the subsequent violence, substance abuse and power-tripping antics made her fodder for the entertainment industry and her pop culture status slid further down the backside of the Hollywood hills, where many stars had fallen before her. It was on 1995's Exhale soundtrack that I feel, in looking back, that this superstar had taken her last breath. It's rare that I let an artist's personal life influence the effect of their work and my attachment to it, but in Whitney's case, that's exactly what happened. Like Michael Jackson, like the tragic truncated talent of Lindsay Lohan, and like the joke that was once known as Judy Garland, my respect for their contributions and talents waned in what felt like the loss of friends I'd held dear. 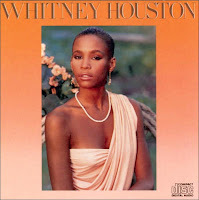 Whitney never did climb out of her volcanic self-destruction. I think Oprah said it best for each of us in her landmark 2009 interview, heralding Houston's "comeback" that never happened, in stating that fans were angry with the singer for wasting away her voice, likening her talent to a "national treasure." Without a doubt, Houston's voice is one of the greatest of the 20th century. It is my personal opinion that she possessed one of the greatest voices of all time, and I place her above Streisand, Celine, and Liza. 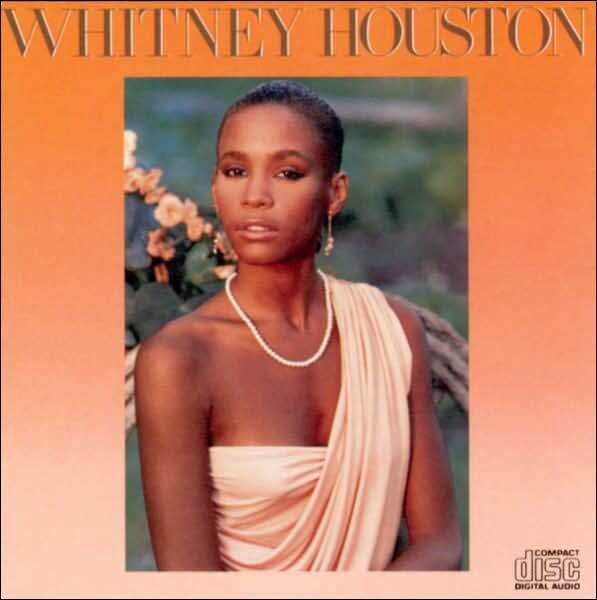 It was the spirit of that longing young woman wanting nothing more than to be loved that captured me, and that's who I'll choose to remember this evening, as I listen once again to the album that introduced us to Whitney. Superstars are only human. Actors, writers, singers and songwriters - we want to place them on pedestals, if only to watch them fall. As artists, we crave the attention. We want to make others feel what we often can't because we've numbed ourselves as a way of protection against the very things that inspire us. Some of us are lucky and can still outrun our demons without the aid of substances but others simply aren't strong enough. I don't think Whitney ever wanted to be the angel that others expected her to be, I think she just wanted to be.